Designed to promote your Bonanza.com products in your Facebook page shop. Great way to take your shop to your customers instead of waiting for them to come to Bonanza marketplace. 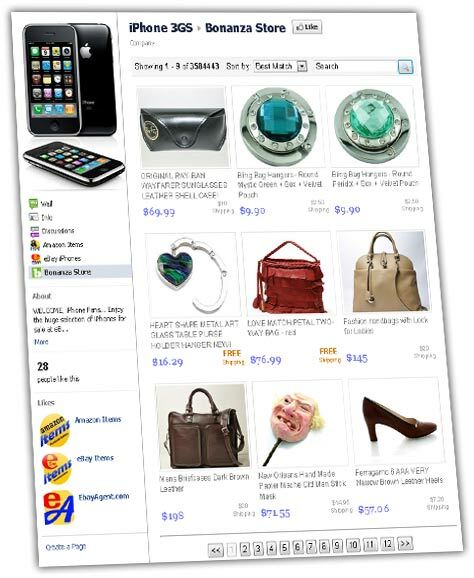 Completely synchronized with your Bonanza.com account. Automatically updates your inventory, so you don’t have to add new products manually, or remove no longer available products. Shop built-in to your Facebook page, so your visitors don’t have to leave your Facebook page to browse your store. All we need is your Bonanza.com shop ID to import your products from Bonanza.com. No password or any complicated autorization is necessary. This way no one can have un-authorized access to your account.